iPhone Cutting Board For Apple Lovers! 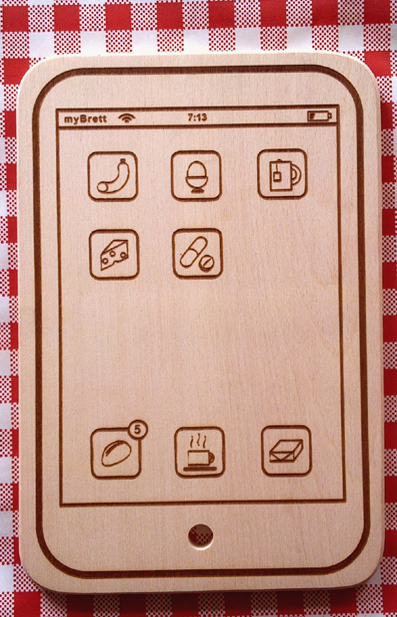 Apple lovers who want inspiration for their cooking may want to check out this iPhone inspired cutting board. Instead of Safari and iTunes icons, food icons such as eggs, cheese, bread and coffee take their places. This fun cutting board is available at MyBrett for 15 Euros.